The Biggest Little Rides To Ever Be. The Biggest Little Rides To Ever Be. In Print. 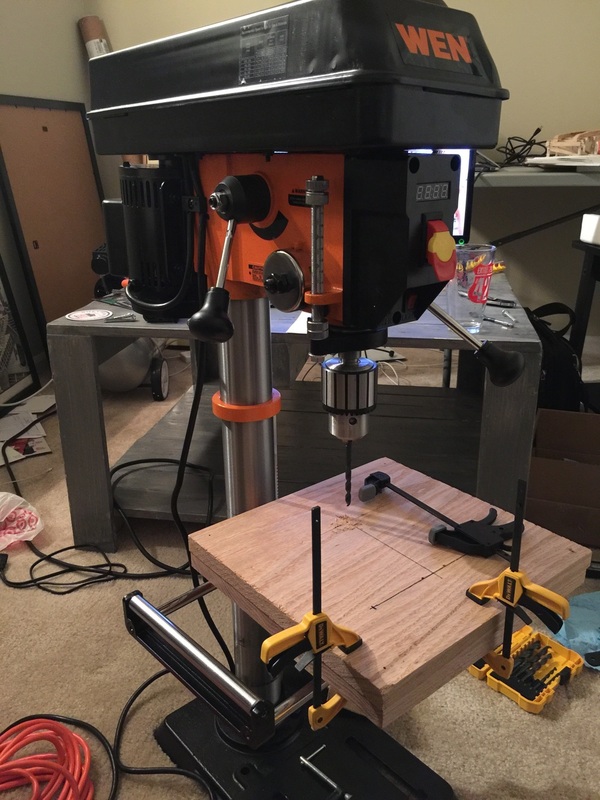 Since the move, I got to thinking: "what about a more powerful drill press that'll allow me to changes arbors and make threads?" The new drill press is a Wen 12" press with a MT2 taper. This bad boy has some serious power and sufficient rigidity. Perhaps the best thing is currently in the mail and on its way: a tapping head. Since most of the roller coaster car designs incorporate a tremendous amount of tapped holes, the new drill press is up for the challenge with the new tapping head.